ABUJA – MINISTER of Labour and Employment, Senator Chris Ngige yesterday inaugurated a seven-man implementation Committee on the Report of the Administrative Panel of Inquiry into the financial affairs of the Nigeria Social Insurance Trust Fund( NSITF). Addressing members of the committee drawn from the office of the Accountant General of the Federation, Office of the Auditor General of the Federation, the Private Sector and the Ministry of Labour and Employment whose Permanent Secretary, Mrs Ibukun Odusote is to chair the committee, Ngige recalled the high premium placed on the religious implementation of the report by the Federal government. He described the implementation committee as key to charting a new course for the agency, adding that its constitution is a presidential directive. He charged the committee to strictly abide by the directive of the President to work expeditiously and round off assignment within two weeks from the date of inauguration so as to pave way for the inauguration of the board. He said, “We want to create a new NSITF that will be financially stable to fulfil its objectives,” warning members to be steadfast and shun distractions and overtures from interested parties. He further charged them, “you will look into the Auditor General’s Check Report which we engaged the relevant section of the constitution to obtain because there has been no audited account in the agency for six years. 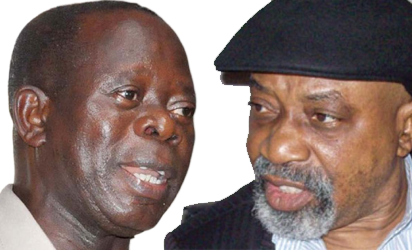 Ngige urged the committee to work out concrete plans for the creation of tax desk in the agency, the lack of which he said, resulted in the billions of Naira in tax deductions not remitted to relevant government agencies, in turn, leading to the closure of the agency’s branches in Port Harcourt and Onne in Rivers State as well as in Owerri, Imo State. “The problems dogging the agency are gargantuan and unknown to many armchair critics,” he added. He explained however that its tripartite nature is a result of workers and employers involvement. Said he, “I am explaining this because there is an insinuation in some quarters that NSITF contains workers’ money.